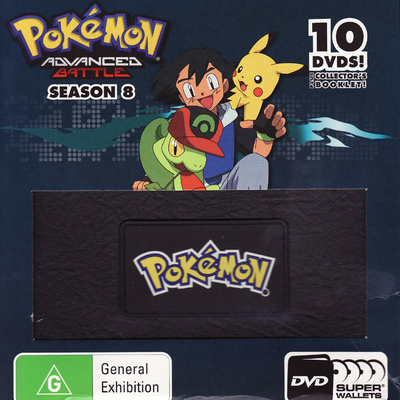 Description Join Ash Ketchum on his quest to become the World’s Greatest Pokémon Master as he prepares for The Grand Festival in Season 8. 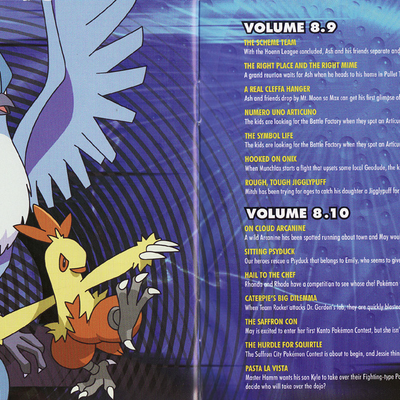 Along the way he needs the help of his friends Pickachu, May and Brock to defeat the always present Team Rocket. 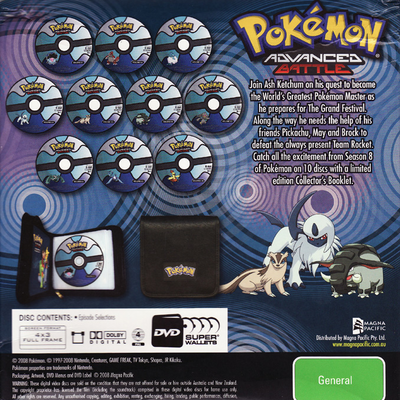 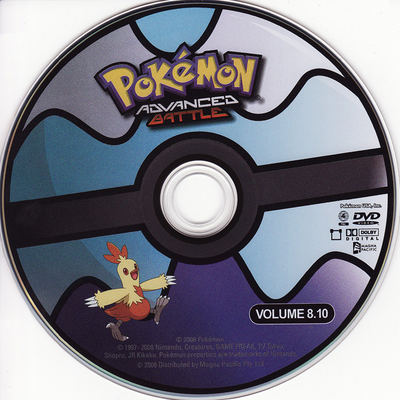 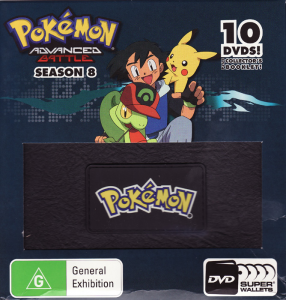 Catch all the excitement from Season 8 of Pokémon on 10 discs with a limited edition Collector’s Booklet.